Patients who are looking for a solution to smoothing out their facial wrinkles and folds can benefit from a Juvederm injection. A Juvederm injection is a colorless dermal filler that is made from hyaluronic acid that smooth out lines and wrinkles in the face. There are different Juvederm formulations, all of which are made from hyaluronic acid, which is a natural to our body. Juvederm ultra has less viscosity, making it a better injection for fine wrinkles, dermal injections and lips. Juvederm ultra plus has higher viscosity and is more appropriate for more significant wrinkles and deeper injections. This works best for facial folds around the nose and mouth area. This is also a good treatment option for patients who want to add volume to their lips to make them fuller. Once introduced into the skin, Juvederm will immediately add volume and restore skin smoothness and hydration. The active ingredient is hyaluronic acid, which occurs naturally in the body. Patients can have peace of mind when choosing this treatment because it is naturally occurring in the body, will cause no toxicity, and will be degraded by the body’s own natural processes. Juvederm is starting to become the preferred treatment choice among our patients in Cleveland & Westlake, OH. The XC format contains lidocaine, which makes the procedure more comfortable for patients. 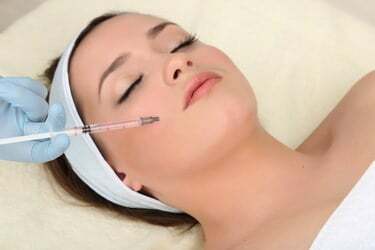 Since it is made from hyaluronic acid, it makes the process convenient, since no allergy testing is required and the procedure has less downtime for patients compared to other cosmetic surgery procedures. Based on the formulation and location of the injection, Juvederm can last between few months to one year. Better formulation for the superficial and fine wrinkles around the lips and works best in erasing moderate lines around the lips and deeper folds and lines and can be used to improve the facial contours. During treatment, Juvederm will be introduced to the skin. Although the XC formulation contains lidocaine, which makes the process more comfortable, patients can still request topical anesthetics as well. It is normal for patients to feel slight pain and tenderness, redness, swelling, and bruising after the Juvederm Ultra injection, but these side effects will gradually subside a week after the procedure. Whichever Juvederm injection our patients choose, they will notice that each treatment will effectively add volume and instantly make their skin smoother and more refreshed. Give us a call today at (216) 778-2262 for more information about Juvederm Ultra Injection in Cleveland, OH or click here to schedule an appointment.